I have four really amazing and handsome brothers – Lorenzo, Eduardo, Enrique and Placido. Do not ask but yes, we are all boys! We are five riot-ringleader replicates who are bound to carry forward the family’s surname and produce more reprints of our late mother and father’s DNAs. I can still remember the old times when all of us were still living in the same house with our parents, no days had passed that Dad never raised his voice to his highest possible tone when his boys, as always were, started to mess around and became so unmindful of the “house rules”. Raising five unpredictably mischievous bears, military-style of discipline would just be the best remedy most of the time. Bistek is one of the Western-inspired steak dishes that has become popular in the Philippines. 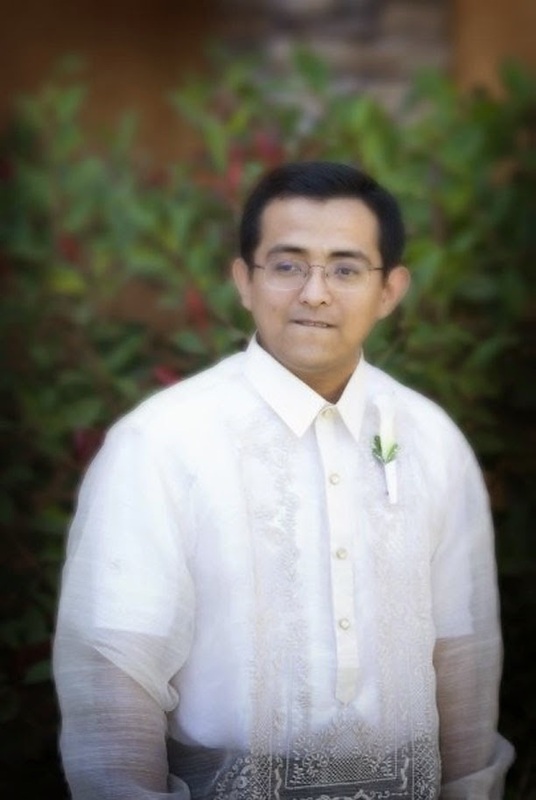 Among my siblings, Kuya Edward (our second eldest) is the one I most admired with respect to academics. He must be the most intellectually-gifted among us, not to mention, he was also the most disciplined and most well-accomplished. He was an honor student in the top class during his gradeschool, was admitted in a prominent special science school during his secondary level, pursued Medical school and almost grabbed a place in the Medical Licensure Exam. Now, he is gainfully practicing his profession as a doctor and permanently residing in the U.S. with his wife, eldest son and the twins. I have always wanted to become like him and almost followed his footsteps, except the Medical school. I must say, he was also my lucky charm. He was the first to know when I passed the entrance exam for the same science high school where he used to go which was beyond my expectations since I was not as performing as him during my gradeschool. When I was admitted in my chosen college, he was also my adviser and my never tiring companion. And most importantly, he financed my final years of schooling until I entered the review center for the CPA Board Exams which I was also able to pass to my great surprise. If he is the "intellectually gifted", I must be the “lucky” counterpart for having him as a brother who is 10 years senior to me. His example served as my driving force to strive hard in life just like what he did. Maybe out of pressure too, I felt the need to deliver results since I was oftentimes compared side by side to him. The rivalry was silent yet so grim and deafening. But at the end of the day, when the competition had already subsided and the battle arena silenced, what would be left of us was a sizzling platter of a sumptuous tenderloin cut of beefsteak bathing in rich and mouthwatering gravy or barbecue sauce that we would shamefully share on the same plate and eat with the same utensils, just like what real brothers do - because after all, we are still “brothers” without any prejudice of the word. On the 31st of July, my model guy figure will be celebrating his 39th birthday. Alas, when was the last time we celebrated his birthday together? It has been years, I am already having a hard time recalling. 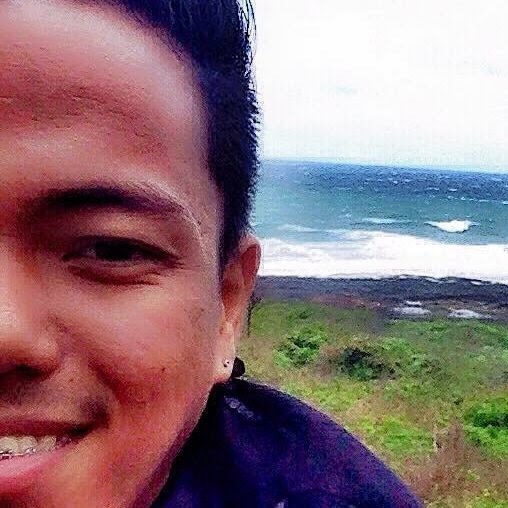 Kuya Edward is my second eldest brother. He is 10 years senior to me. A very interesting western-inspired Filipino meat dish with preparation and cooking techniques tweaked in resemblance to our local adobo, here is another regular table fare to celebrate food. If American steakhouses are known to serve highly-prized T-bone or Porterhouse cuts of beefsteak, we, frugal Pinoys, have our very own reinvention and thinner version of steak in the form of Bistek Tagalog. “Bistek” is our short colloquial term for the word “beefsteak” and “Tagalog” pertains to the Tagalog Region in the Southern Luzon, Philippines where bistek is believed to have originated. Usually served with tender slices of beef, similar cuts of pork can also be used, and in other cases, chicken and fish fillet too. If using pork chops, it is very typical to Filipinos to include some fats and pork skins as they add flavor to the dish. The steak is braised and cooked with its marinade sauce, very much similar to how adobo is being cooked. Just like the local adobo, the meat is initially marinated in the mixture of soy sauce and acidic ingredient, usually calamansi lime or lemon juice. How salty or citrusy you want it to be depends of the ratio of the ingredients and length of time to marinate the meat, which is ideally overnight to better infuse the flavors. The steak is braised and cooked with the marinade sauce towards the end until the meat is fork tender. Filipinos are lovers of rice so there is no doubt and it is never odd to pair steaks with hot steamed or garlic fried rice. Sometimes potatoes are added too or the steak can live in itself as long as there is rice. Warning: Never serve a steak to a Filipino if rice is missing. It is like telling them to eat Caesar Salad without the dressing or hamburger sandwich without the bun. In a bowl, combine the soy sauce, Worcestershire sauce, calamansi lime juice, garlic, sugar and pepper. Stir well to combine. Wash the pork chops and pat dry with paper towel. Place the meat slices in a resealable container or ziplock bag. Pour the soy sauce mixture on pork slices and lightly toss to evenly coat the meat with marinade. Seal and keep inside the fridge to marinate for 1 hour to overnight. Melt the butter in a skillet or saucepan over medium heat. Add the onions and sauté until translucent. Transfer the onions on a plate and set aside. Season the potatoes with salt and pepper. On the same pan, fry the potatoes for 3 minutes on each side. Transfer on a plate lined with paper towels to drain the excess oil and set aside. Drain the marinated pork and shake off any residue of ingredients. Set aside the marinade. Using the same pan, add cooking oil and set the heat over low to medium. Carefully put the pork on the pan and fry in batches for 5 minutes on each side. Transfer the lightly browned pork chops on a wire rack and let the excess oil to drip off. On a clean pan, combine the marinade sauce and water. Bring the mixture into a simmer over low heat. Add the pork chops and cook for 20 to 30 minutes or until the meat is fork tender and the sauce is reduced, flipping the meat half-way through. Add more water if the sauce begins to dry. Three minutes towards the end of cooking time, add the dissolved cornstarch (optional). Continue to simmer until the sauce slightly thickens. Adjust the seasonings. In a large platter, arrange the pork chops and potatoes. Pour over the sauce and garnish with onions. Sprinkle the top with chopped onion springs and toasted garlic. Serve with steamed or garlic fried rice. Enjoy! This recipe is also suitable to beef, chicken and white fish fillet, preferably bangus (milkfish) or tilapia. Just adjust the cooking time depending on the type of ingredients. The lead star of this very popular Filipino dessert is the meat of the young coconut fruit (locally known as buko) derived from the coconut tree. 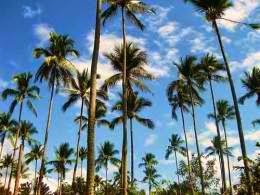 Filipinos describe coconut tree as “puno ng buhay” (the tree of life) because of its usefulness starting from the leaves and fruits down to the trunks and roots. This dessert is derived from the "puno ng buhay" (tree of life). The tree, which can grow up to nearly 100 ft tall, usually thrives on sandy soil and in tropical climates. The fruit of the coconut is neither a fruit nor a nut but rather considered a drupe, pertaining to the hard shell covered by fibrous outer layer. Other examples of drupes are peaches, almonds, mangoes and olives. 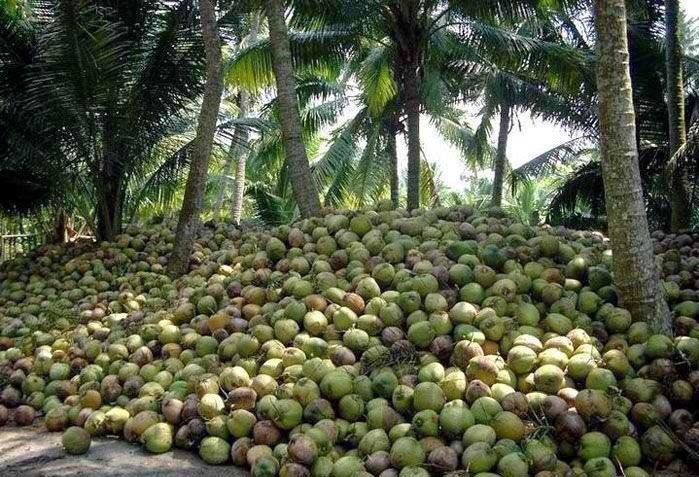 The Philippines, alongside India and Indonesia, are the largest planters and producers of coconut in the world. Coconut is regarded as tree of wonders for the usefulness of the every single part of the tree. To give an overview of the wonders of coconut, let us begin to enumerate the uses of the trunks, leaves and roots. The trunk or coconut lumber makes a sturdy and durable wood that is utilized as construction materials for buildings, homes and furniture. The bodily stem of the tree, along with the midribs and leafstalk are where the pulps and abaca are extracted which eventually are used in the production of papers and handicrafts. The leaves do not only produce good quality paper pulps as they are also useful as packaging to suman (local rice cake), and together with the stems, they could also be manufactured to make brooms, baskets, mats, fans, lamp shades and other home decors. The root of the tree is widely use as dye, mouthwash and alternative medicine for dysentery. The coconut fruit alone has multitudes of uses too and nothing would be thrown away, even the rinds. The softest part of the coco fruit, especially if it has not yet reached its full maturity, is its fleshy, almost gelatinous white meat which could only be unveiled once the fibrous and rather solid outer casing is cracked open. The tender meat is usually shredded and mixed in salads and beverages (e.g. buko shake, buko-fruit salad, halo-halo or Filipino hodge-podge beverage dessert) or cooked to make desserts and fillings for pies and breads, or simply scraped off from the shell and eaten as is. The tougher meat of matured coconut is where the coco flour and desiccated coconut is derived. This is also grated and pressed with warm water to extract the coconut milk. Coconut milk, as we all know, is an important element of the curry dishes in many Asian countries. The dried meat or copra has highly digestible fat content which when processed into oil could be the healthiest option for cooking (to be used as cooking oil, butter or margarine) and component in beauty products and cosmetics (such as sanitizer, lotion, soap and shampoo). The virgin coconut oil is notable for its anti-fungal, anti-microbial and anti-viral properties. Meanwhile, the coconut water is regarded as an economical thirst quencher and medical cure for kidney stones and other renal disorders. This can also be processed into coconut vinegar and wine. A well-loved Filipino dessert that is everpresent in every special Pinoy occasions. Co-starring this well-loved dessert salad that I am going to feature is the nata de coco, the semi-opaque jelly cubes derived from the fermented coconut water which is widely used in many sorts of desserts, salads and even candies. Lastly, the coconut husks contains coir and fibers that are very suitable as materials for industrial and cleaning purposes like floor polish, doormats, carpets, brushes, bags, ropes, fishing nets, mattresses, air purifier, gas masks, air conditioners, etc. One important composition of the coconut shell is the activated carbon which is very useful in the production of charcoal. All the benefits mentioned are just some of the valuable uses of coconut. There are actually so many that it would take a while to enumerate all of them. The salad dessert recipe that I am going to share with you is just the very tip of the iceberg. Buko Pandan Salad (Young Coconut and Pandan Jelly Dessert) is composed of young coconut milk, nata de coco, agar-agar jelly, pandan essence, cream and milk. This is usually served on almost every Filipino occasions and definitely one of my childhood favorite desserts. It is one refreshing bowl of goodness best served cold that would surely be loved by children and adults alike. Put water in a saucepan. Soak the flaked agar-agar for 30 minutes or simply dissolve the gelatin powder (if using). Tie a knot in the middle of pandan leaves and add into the mixture. Set the heat to high and bring to a boil. Add the sugar and stir to combine. Lower the heat to simmer until the agar-agar and sugar are completely dissolved. Continue to cook for 5 to 10 minutes while stirring continuously. Discard the pandan leaves and transfer the liquid jelly in a flat molder. Allow to cool at room temperature and then refrigerate to set. Carefully take out the hardened jelly from the molder and slice it into small cubes. Set aside. In a large mixing bowl, combine the shredded coconut and nata de coco. Pour in the condensed milk, all-purpose cream and pandan extract. Mix until well blended. Gradually add the sliced jelly. Stir slowly to combine all the ingredients. Be careful not to break the jelly into pieces. Place the buko pandan salad in the fridge to chill for at least 2 hours. Serve cold as an after meal dessert. Enjoy! Other ingredients that can be added are sago, tapioca pearls and kaong (sugar palm gel). Serve atop with a scoop of your favorite ice cream. You may use sweetened macapuno (gelatinous coconut meat) instead of the regular meat of young coconut. You can also try Buko Salad with Fruit Cocktail.